When my friend told me that my roots were a sold seven on the 'root scale' I thought that it was high time that I did something about them. As a natural dark, brunette it only takes around three weeks before my golden blonde hair is massed with a dark shadow. Now, don't get me wrong i'm all for the rooty look but with a black tie event on the horizon, lots of photographs and a spare hour I decided that that touching them up wasn't a bad idea. I am maintaining my goal to not colour the lengths of my hair until next year in a bid to restore some of the quality and length of what is left of my fried barnet. With hair dye so cheap in places like Boots and Superdrug it's hard to not pick up a full dye pack when it retails at under a fiver. This is where the Nice 'n' Easy 'Root Touch Up' kits come in. They are as affordable as the standard dye packs but only contain a fraction of the hair dye solution so you don't waste as much product. The colour range is fairly broad and each colour is meant to match the shades of other leading brands. I bought the shade 'medium blonde' as I like my roots to be a little darker than my super, light blonde lengths. The dye is really easy to use, simply mixing the two solutions together in the plastic tray provided and away you go. What isn't so easy, is trying to use the applicator brush at the back of your head where you can't see what on earth you are doing. I'd say this procedure is better done with a friend or relative to help you out - but never the less I persevered and covered what I think was my entire scalp in product. Firstly, there isn't enough mixture to cover everywhere evenly in a nice amount, and I think this product is aimed at targeting the visible roots on the top of your head between colourings. After 10 minutes I rinsed my hair and washed it as normal. Upon blow drying I saw the results immediately. 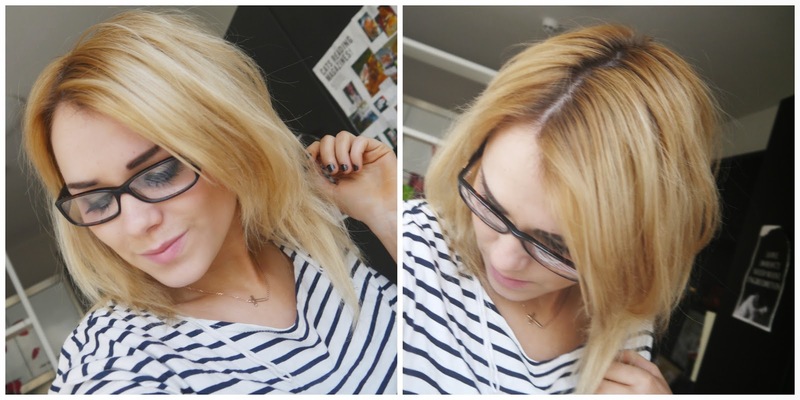 Goodbye dark roots and hello golden blonde, the coverage was perfect. 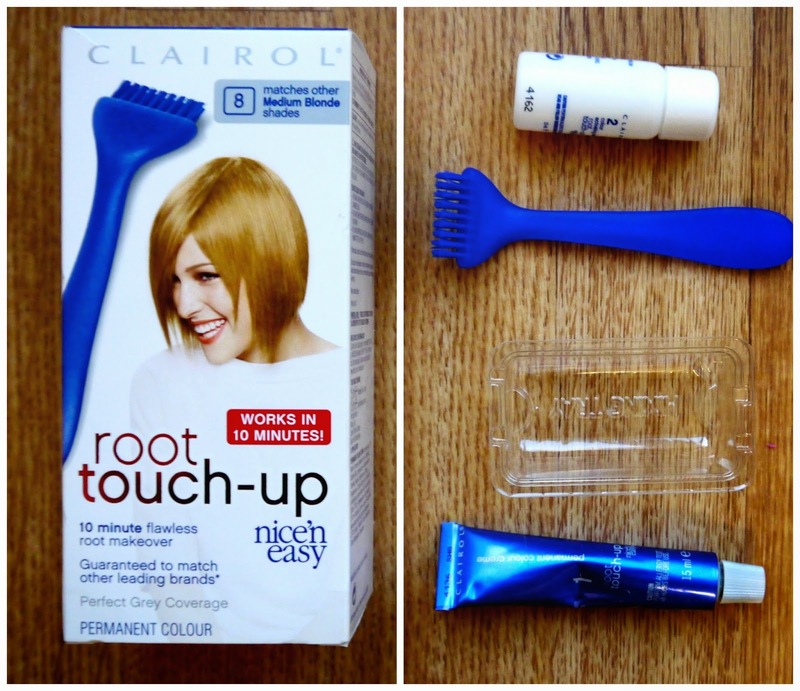 I am really happy with the way that the 'Root Touch up' worked and will certainly be using it going forward to sort out my roots.